to save the time and labor of folding by hand. All of our Paper Folders are able to fold the 4 standard paper folds. Call for information on additional paper folds. 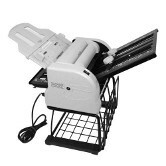 This fast and easy automatic paper folder folds up to 4000 sheets of 20 lb. bond paper per hour in 4 popular folding styles. This economical, sturdy paper folder is great for office and light commercial paper folding. 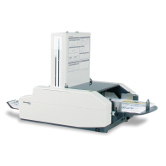 The DE-202AF Paper Folder has easy operation with high performance. It folds 5000 pieces of paper per hour and is still a light weight table top machine. A fast, easy to operate, and economical paper folder. 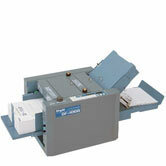 Performs up to 190 single or double folds per minute. 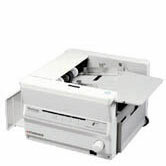 The PF17 Paper Folder is a very easy to use high speed paper folder. 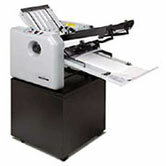 With fold speeds of up to 10,500 sheet per hour and the ability to fold up to 12" x 17 1/2" sheet size. 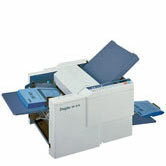 This Paper Folder provides both speed & versatility at an economical price. 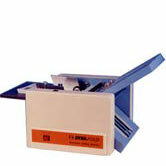 The PF17V Paper Folder is a very easy to use high speed paper folder. 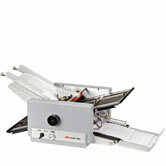 With variable fold speeds of up to 12,240 sheets per hour, and the ability to fold up to 12" x 17 1/2" sheet size, this paper folder provides both speed & versatility at an economical price. The MBM 208J is a friction feed manual folder that sets up easily for a variety of standard and custom folds. 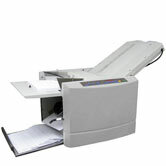 The Intimus 2051 paper folder can fold 3,000 to 15,000 sheets per hour from sizes 2.5" x 5.2" to 12" x 17". This paper folder has 7 preset folds and 10 custom folds. 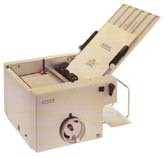 A desktop paper folder with quick operation folds 240 sheets a minute. Folds up to 11" x 17" and up to 60 lb. thick. Has 3 speeds for Quiet, Medium, and High speed operation. The PowerHouse PF17A Automatic paper folder is the most easy to use fully automated set up paper folder on the market today. 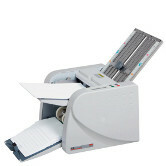 Just press a button and choose from six common fold types and the paper folder will do all the set up for you. 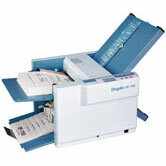 The DF-755 Paper Folder is convenient, easy to use, and designed with the budget conscious in mind. 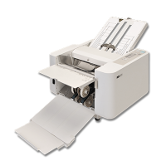 User-friendly, the DF-755 quickly folds a variety of paper sizes and types up to 120 sheets per minute. 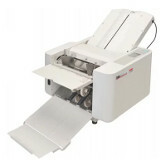 A fast, fully automated paper folder with the ability to fold paper sizes 2" x 2 3/4" to 14" x 21 1/4". Performs up to 22,000 folds per hour. 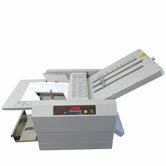 The MBM 508A is a dependable automatic folder that comes pre-programmed with 36 standard folds. Up to 24 custom jobs can be stored in memory. High speed folding up to 280 sheets per minute has never been easier. With six popular pre-programmed folds and a multitude of custom folds, crisp and accurate folding for a variety of applications is accessed at the touch of a button. With six popular pre-programmed folds and a multitude of custom folds, crisp and accurate folding for a variety of applications is accessed at the touch of a button. A fast, fully automated paper folder. Performs up to 240 folds per minute. 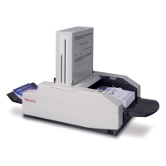 The Standard Horizon PF-P330 Paper Folder combines the simplicity of push-button set up with reliable mark-free suction feeding in a table-top unit. 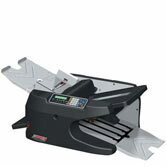 The 352S Professional Series Air Suction Paper Folder can fold 30,000 sheets an hour. 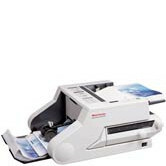 It handles paper sizes from 3 3/8 x 3 3/4" to 12 5/8" x 17 3/4"
The DF 1000 suction technology tackles common problems, such as static build-up, faced by digital printers when finishing color work Does not require an additional, separate pump making it the quietest machine in its class. 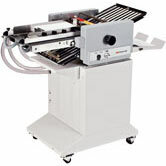 A high speed air-feed folder to fold virtually any coated or uncoated stock.